Who is eating gluten-free food and why? People eat foods that are gluten free for a variety of reasons, but the majority of adults and children following a gluten-free diet are doing so because they either have a gluten sensitivity or they have celiac disease – an autoimmune disorder that can prevent the absorption of important nutrients in the small intestine as well as cause rashes, headaches, stomachaches, and other unpleasant side effects. 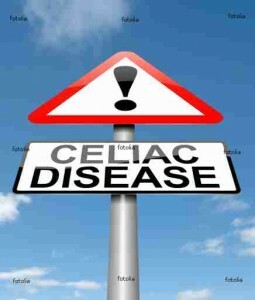 The current research indicates that at least 1 out of every 133 people has celiac disease. The disease is hereditary and is more common in people of western European descent. Many people do not ever test positive for celiac but have symptoms that miraculously disappear when they eliminate gluten from their diet. Those people are described as having gluten sensitivity. So where do I find gluten? Gluten can be found in anything containing wheat, rye, or barley. Stay away from most breads, cereals, cookies, crackers, breading, and cereals. The sneaky part about gluten is that it can be found in many processed foods as an additive – double check marinades, spices, and other packaged goods. Some doctors advise against avoiding oats as well due to cross-contamination issues. However, Bob’s Red Mill and others are now certifying oats as being gluten-free so keep a look out for the GF label. Steel cut oats – also called Irish porridge – are much less processed, for example, and are often certified gluten free. What do you mean by cross-contamination? Cross contamination is a little bit controversial. Much like the notes on the back of so many packages these days … “This product was manufactured in a facility that also processes wheat, nuts, soy, dairy, etc., etc.,” cross- contamination can refer to fields of oat located next to fields of wheat or gluten-free food prepared in a dish that was just used to prepare something containing gluten. In the ten years since I have been diagnosed with celiac disease, I have read differing reports about the actual impact of cross-contamination. One of the more recent studies I read reported that less than 1/8 of a teaspoon of gluten did not cause a reaction in people with celiac disease but other studies have shown that it can take a miniscule amount to create a reaction. So what can you actually eat on a GF diet? A lot, really! A person who cannot eat gluten is able to eat all the fruits, vegetables, meats, rice, quinoa, buckwheat, lentils, eggs, beans, and dairy that his or her heart desires. My approach to cooking and eating gluten-free food in our house is to cook good food – not try to re-create gluten-full foods. In my experience, that is a hard and often fruitless task. I like to stick with simple meals using a variety of meats, grains, and produce and cook real food. Visiting the farmers markets, our local grocery stores, health food stores, and growing our own gardens all help make this endeavor fun and totally manageable. Any tricks or supermarket tips? 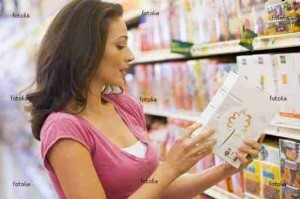 Avoiding the center aisles of the grocery store can be a good trick … unless you have a lot of time to read every label looking for hidden gluten. 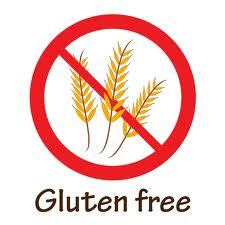 That being said, there has never been a better time to be eating gluten free! Every day, more and more big-name companies are jumping on the GF bandwagon. Many supermarkets are also instituting new signs around their stores to alert customers to their gluten-free options so you don’t have to do all the label reading – it’s been done for you. I tell people to be careful that they don’t overindulge on gluten-free products – just because it is gluten free, doesn’t mean it’s healthy. A cookie is a cookie, chips are chips… a gluten-free label doesn’t make those chips or cookies a healthier option. Caveat: Keep in mind, if you are diagnosed with a gluten intolerance or celiac disease, it is best to talk with your doctor, meet with a nutritionist or registered dietitian, and use their professional resources to help you get started on this gluten-free journey. These pages are only intended to promote my family’s personal experiences with gluten-free living.